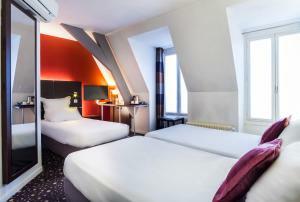 Located in the lively 14th district, 55 Hôtel Montparnasse is only 100 metres from Pernety Metro Station which connects to Champs Elysées, and 650 metres from Montparnasse Train Station. Fresh pastries are served with the buffet breakfast. 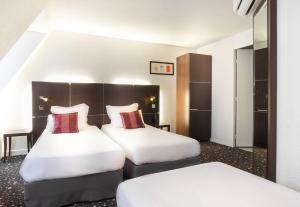 These contemporary rooms have a flat-screen TV with satellite channels, double glazing and air conditioning. Free WiFi access is provided. 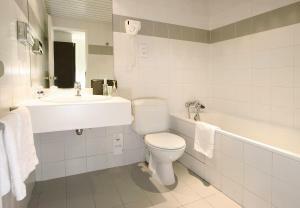 Free toiletries and a hairdryer are supplied in the private bathrooms. A buffet breakfast is served in the dining room and you can enjoy snacks and a variety of drinks from the all-day bar. Porte de Versailles is accessible by public transport in 20 minutes. Please note that the credit card used for booking will be requested upon arrival. If you cannot present this credit card, you are kindly requested to contact the property in advance to arrange a bank transfer. Please inform 55 Hôtel Montparnasse in advance of your expected arrival time. You can use the Special Requests box when booking, or contact the property directly with the contact details provided in your confirmation. Guests are required to show a photo identification and credit card upon check-in. Please note that all Special Requests are subject to availability and additional charges may apply. 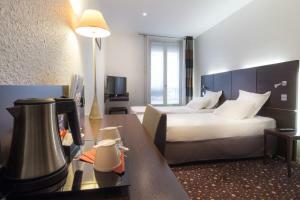 These soundproofed rooms have a contemporary design and include free Wi-Fi and satellite TV. 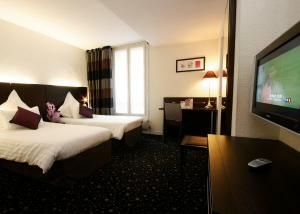 Rate: € 61.89 ... € 162.99; select dates below to get current rates. 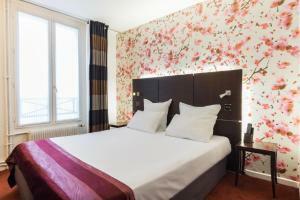 Featuring a contemporary design, these larger rooms have a queen-size bed, free Wi-Fi and satellite TV. This room has a private bathroom with free toiletries and a flat-screen TV with satellite channels. 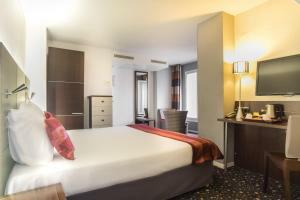 This triple room features air conditioning and satellite TV. Please note that the single bed is a small bed.